Kenya’s opposition leader Raila Odinga on Monday claimed that at least 500,000 young girls and women may be infertile, following a tetanus vaccine administered by the government in 2014 and 2015. While addressing the media in Nairobi, Odinga said girls and women aged between 14 and 49 from the fastest growing populations in the country will not have children, because of a state-sponsored sterilization exercise that was sold to the country as a tetanus vaccination. He castigated the government for proceeding with the programme without providing any proof that the Church was wrong. They had received analysis of samples that were used in this exercise, which they proceeded to cross check with other experts, he went on. Odinga further charged that they accessed the analysis from four highly-regarded institutions, such as agriQ Quest Ltd, the Nairobi Hospital Laboratories, the University of Nairobi and Lancet Kenya. According to Odinga, the government, for some mysterious reason, was hell bent on misleading the country, while intentionally sterilizing Kenyan girls and women. "The vaccines were a great crime committed against women. Women should choose when to have children and how to space them," he said. At the time, the government rubbished the claims by the Catholic Church, saying the vaccine was safe. 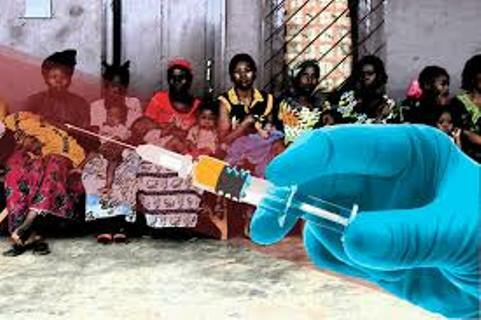 UNICEF and the World Health Organization later confirmed that the vaccines were safe and procured from a pre-qualified manufacturer. They noted that the church lacked any evidence to back up their claims.